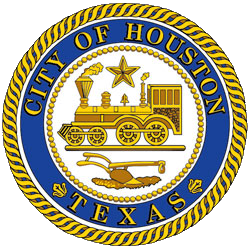 Mayor Sylvester Turner’s Complete Communities initiative has received an Our Great Region Award from the Houston-Galveston Area Action Council (H-GAC) for outstanding public involvement. 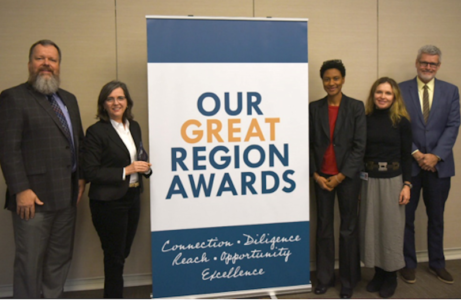 The Our Great Region Awards recognize projects in the region that are advancing the goals and strategies identified in the Our Great Region 2040 plan. Complete Communities received The Reach Award, which honors a project that demonstrates exemplary public participation. As the region’s metropolitan planning organization, H-GAC formed a partnership with local governments and organizations to develop a long-range plan to accommodate our region’s growth. Completed in 2014 by 24 partner organizations, the Our Great Region 2040 is designed to make the 13-county region an even better place to live, work, and prosper by the year 2040. The plan examines six major topics (transportation, environment, economic development, resiliency, housing and healthy communities) and presents “big ideas” and strategies in each. As the first sustainability plan for the area, Our Great Region 2040 will be consulted for years to come as the region works to meet its sustainability goals. The City of Houston’s Complete Communities project works with five diverse, under-served Houston communities to help them reach their full potential: Acres Home, Gulfton, Near Northside, Second Ward and Third Ward. Through hundreds of community meetings, the Planning and Development Department worked with these communities to develop community specific action plans and identify a vision, goals and actions to address community priorities. This involved extensive community outreach, city departments meeting with numerous outside organizations, private business and funding organizations, and forming partnerships in drafting the action plans. Residents attended more than 200 meetings with informal small groups, individuals one at a time, various organizations, neighborhood events, Super Neighborhood, Neighborhood Support Team and large public engagement meetings. Planning staff coordinated and led more than 50 internal meetings with 23 City departments that were key participants in many of the public meetings. Partners include residents, non-profit organizations, businesses, other government offices, religious institutions, schools, banks and foundations. The Complete Communities action plans were approved by City Council in August 2018. The City continues to work with each community to carry them out. To learn more about Complete Communities, visit https://www.houstontx.gov/completecommunities/. For more information about the Our Great Region Awards, visit https://www.ograwards.org/. From left: Planning Interim Director Margaret Wallace Brown, Lynn Henson and Jennifer Ostlind with the City of Houston; Executive Director Chuck Wemple and Jeff Taebel with Houston-Galveston Area Council.